I do a lot of work in LNG plants where FR is always required. 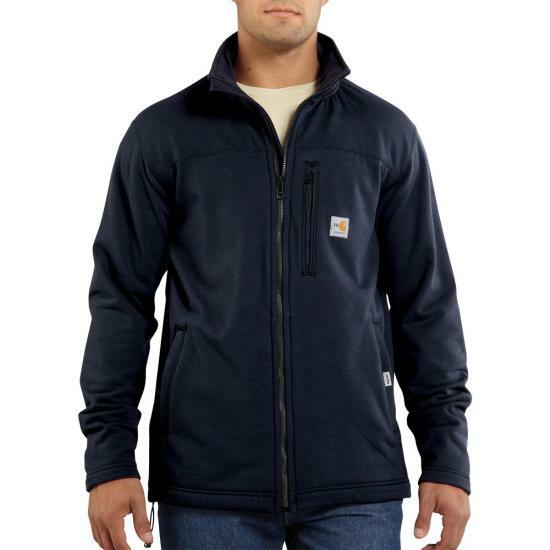 A fleece that goes over several layers is very handy for chilly mornings. So I like some extra space. My first order of XL gave me a little TOO much. the L is still plenty big. Just finished 2 weeks of wearing it and love the fit and the pockets for phone and gloves are also very useful. Did some looking over for anything resembling a factory defect and about the only thing I found was the stamp on the label that said "Factory Second". This is without a doubt the perfect North Dakota spring and fall jacket! You simply cannot go wrong in buying it. Fit is perfect 👌 on me and as far as my own personal opinion goes, it is true to size. It goes great with my office type wear FR pants and any of my button down FR shirts!! !So What are you waiting for! Buy it now! by it now!! by it now!! !